So I actually used the same wreath and transformed it into something that I actually kinda like! I love the little banners. They're so teeny! I cut the little letters out by hand with my elmer's precision scissors and it was actually quite simple. 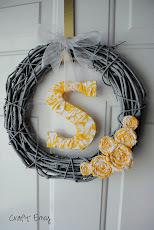 And the great part about this wreath is the cost: with a craft store coupon, it should only cost about $3.50 - $4! Thanks for joining us this week! 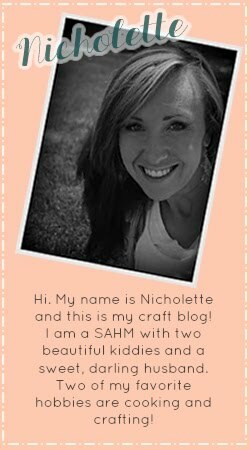 Come link up your projects and see what your fellow crafters are up to! 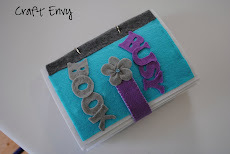 This week I shared my DIY Mail Organizer from a cereal box, and a fruit snacks box. And this Cardboard Rose Wreath is stunning! I have seen this done before, and I desperately need something to organize all the papers on our counter, so I ventured to make my own version. 1. 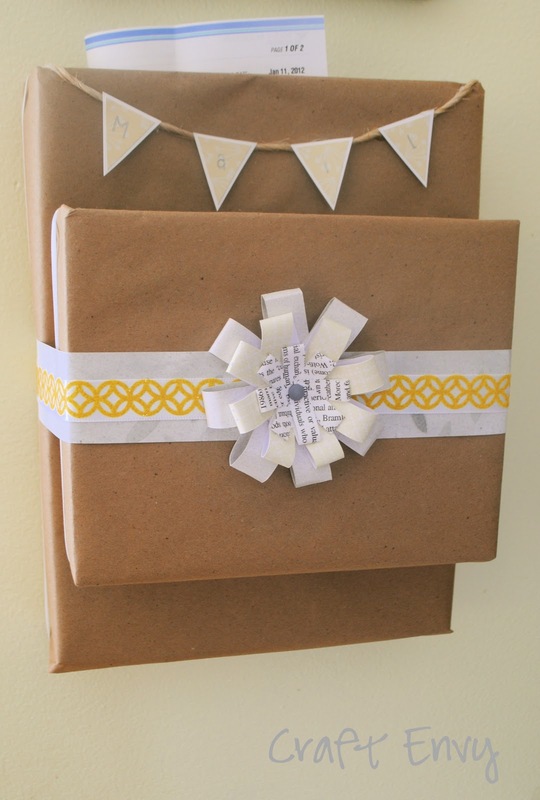 To start, cut the flaps off of the top of your boxes. 2. 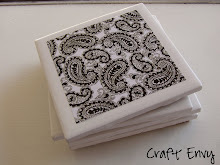 Cover with brown crafting paper and tape or glue (I used double stick tape). 3. 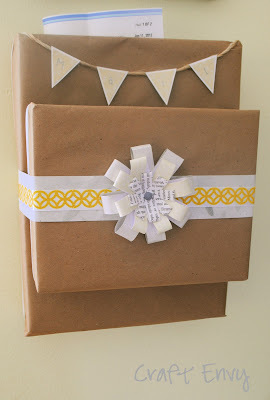 Tape or glue boxes together and add embellishments. 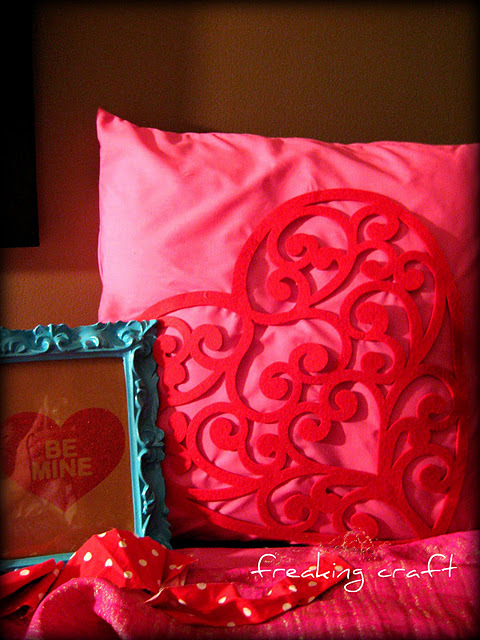 I cut a few things out with my Silhouette and added ribbon around the sides. 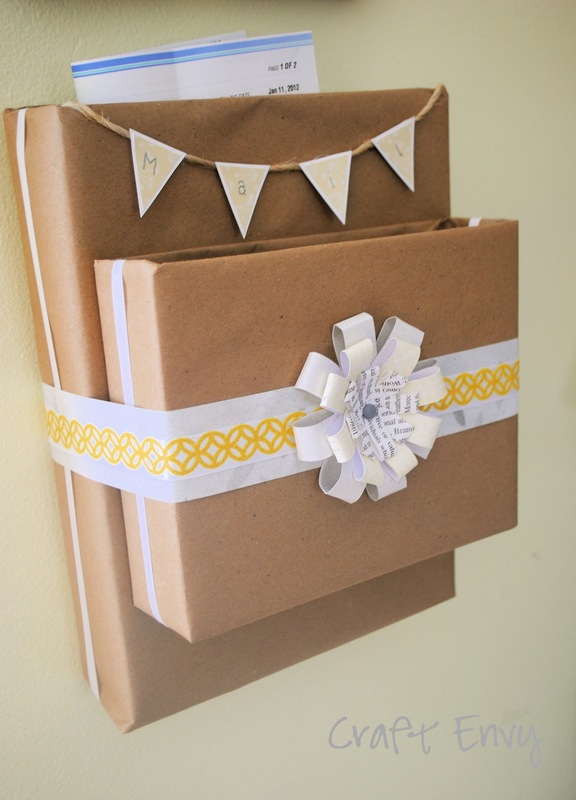 You can use magnets to put the organizer on your fridge, or stick it on your wall. Welcome again to another Saturday Spotlight! Thanks everyone who came and shared their ideas with us this weekend! Freaking Craft shared this beautiful Valentine's pillow! I'm totally in love. This bathroom is amazing thanks to a new stencil job by A Pumpkin and A Princess. Cooking With Karen shared these delicious looking Homemade Gummies! Thanks again for sharing and stop on over for a featured button if you'd like! I found this beautiful black and white photo of the SLC temple (which is where my hubby and I were married). So I decided to make a temple block of my own. I added the words, "Happily ever after..." in my photo editing software. I got the idea from the blog Lil' Luna. 1. The wood is 1"x 6"plank cut down to 8" in length. 2. I spray painted the entire piece of wood black. 3. When dry, I mod podged a printed out picture of the SLC temple. 4. Tied some ribbon and tulle around it and sanded the edges down a bit. I bought a small easel at the dollar store. It was gold colored so I spray painted it black. My hubby has been keeping all of his man bling in this old watch box. For Christmas, I decided to make something to keep everything organized. John only wears cuff links and a watch. He was wearing some of the stuff when I took this picture, but the large space at the bottom can actually fit his watch. The crazy thing about this little valet...it only costed me a buck! I bought it as a "wood shelf" from the dollar store.